At SMI, Department of Health Science and Technology, Faculty of Medicine, Aalborg University, Denmark, one or more PhD stipends are available within the general study program: &quot;Biomedical Science and Engineering&quot;. The stipends are open for appointment from 1 January 2019 or soon thereafter. Department of Health Science and Technology carries out multidisciplinary research, teaching and dissemination within biomedical engineering, sports science and medicine. The department has more than 250 employees and is responsible for more than 1200 students. More than 160 PhD students are enrolled in the doctoral school affiliated to the department. The researchers are organized in a number of research groups and centres, and the department has at its disposal laboratory and clean room facilities for 3D movement analysis, respiratory and circulatory examinations, sensory and motor functions analysis, cell growth, molecular biology, brain analysis, etc. 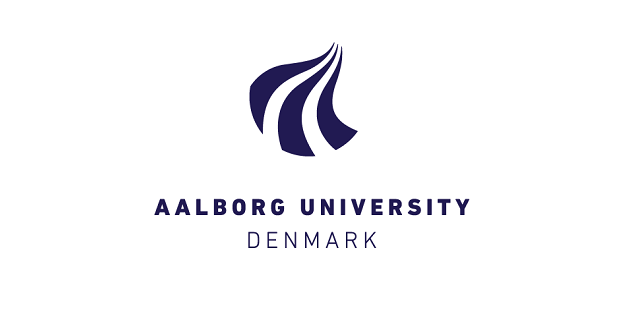 All study programmes at Aalborg University involve problem-based learning, organized around cases and projects. For more, see: www.hst.aau.dk. As The Faculty of Medicine wishes PhD positions to enable careers both within and outside the university, the vacant positions are created in such a way that the competences achieved in the position will qualify for both a research career and a career in the commercial and/or public sector. At least a year before the position expires, you will be offered an interview to clarify your future career. Translational research in neuroscience and engineering is the primary focus of SMI. The aim is to develop new diagnostic and therapeutic methods in the areas of pain, motor control, sports sciences, and rehabilitation. One or more stipends within the presented research interest groups (RIG) are available. 2) Physiological biomarkers for assessment of the itch in experimental and clinical settings. The aim will be to explore similarities and differences between pain and itch in as well acute as chronic conditions. The successful candidate for a SMI PhD Stipend holds a Master Degree in Biomedical Engineering, Clinical Science and Technology, Neuroscience, Pharmacology, Medicine, or equivalent. A high proficiency level in oral and written English is required. Professor Lars Arendt-Nielsen, SMI, Department of Health Science and Technology, phone: +45 9940 8830, email: LAN@hst.aau.dk concerning the scientific aspects of the stipend. PhD stipends are allocated to individuals who hold a Master's degree. PhD stipends are normally for a period of 3 years. It is a prerequisite for allocation of the stipend that the candidate will be enrolled as a PhD student at the Doctoral School in Medicine, Biomedical Science and Technology in accordance with the regulations of Ministerial Order No. 1039 of August 27, 2013 on the PhD Programme at the Universities and Certain Higher Educational Institutions. According to the Ministerial Order, the progress of the PhD student shall be assessed every six months. It is a prerequisite for continuation of salary payment that the previous progress is approved at the time of the evaluation. The qualifications of the applicant will be assessed by an assessment committee. On the basis of the recommendation of the assessment committee the Dean of the Faculty of Medicine will make a decision for allocating the stipend. For further information about stipends and salary as well as practical issues concerning the application procedure contact Ms. Bettina Wedde, The Faculty of Medicine, email: bew@adm.aau.dk, phone: +45 9940 9909. A project description of max. 3 pages excl. references must be attached to the application. This description should outline a research project relevant for the respective RIG.